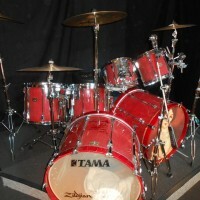 Tama, Artstar II, burgundy transparent lacquer. 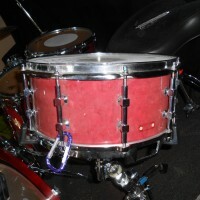 22,24,10,12,14,16,6×14 w/hdwr. 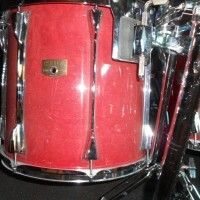 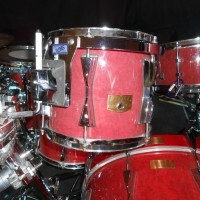 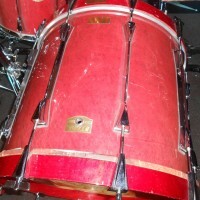 24″ bass serial #014618, 10″ tom serial #014640, 12″ tom serial #014625, 14″ tom serial #014658, 16″ tom serial #014606, 6.5×14 snare serial #026542. 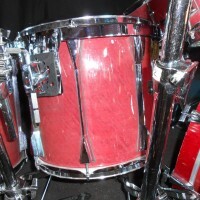 Includes additional 22″ bass serial #014627. 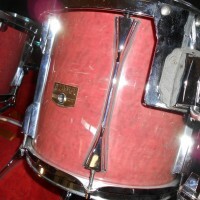 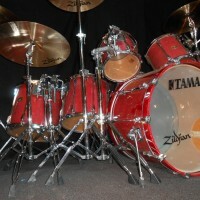 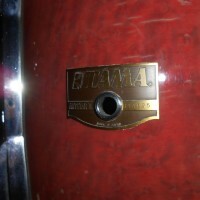 Includes a complete set of Tama hardware. 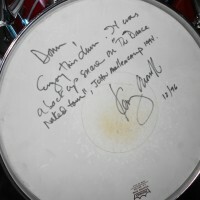 Used on numerous tours and recordings including John Mellencamp‚Äôs 1993 “Human Wheels” TV special and 1994 “Dance Naked” tour. 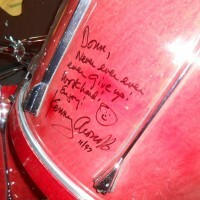 Acquired directly from Kenny Aronoff in 1997. 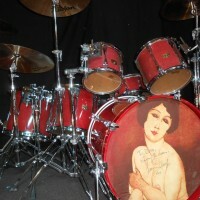 COA, bass drum, 22‚Äô logo head and snare head signed by Aronoff.